Paul Curran is a legend, and it's fantastic to be able to work with him at Planet X. A Commonwealth Games medalist with race wins through the 80's and '90's, Paul is now working with us, hand building wheels to give you that edge, and that knowledge that when push comes to shove, you've got the best quality product around. 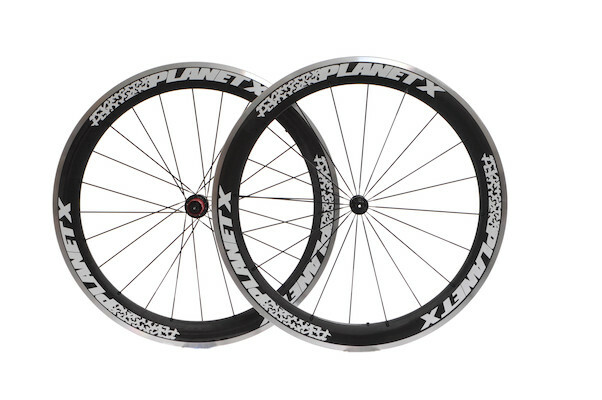 He's built us up some limited edition 52mm and 60mm carbon clincher wheelsets. It was during the 1988 Korea Olympics that Paul started to build and maintain his own and then other riders' wheels and is now respected as one of the UK's best wheel builders. Curran is a racing legend, and the wheelbuilder of choice for the pro-riders - our own Jamie Burrow chose Paul to build his superlight wheels for his win in the Maratona dles Dolomites last year. More info on Paul Curran's history, experience and racing career can be found here.